Call for light VIBRANT blue finish! 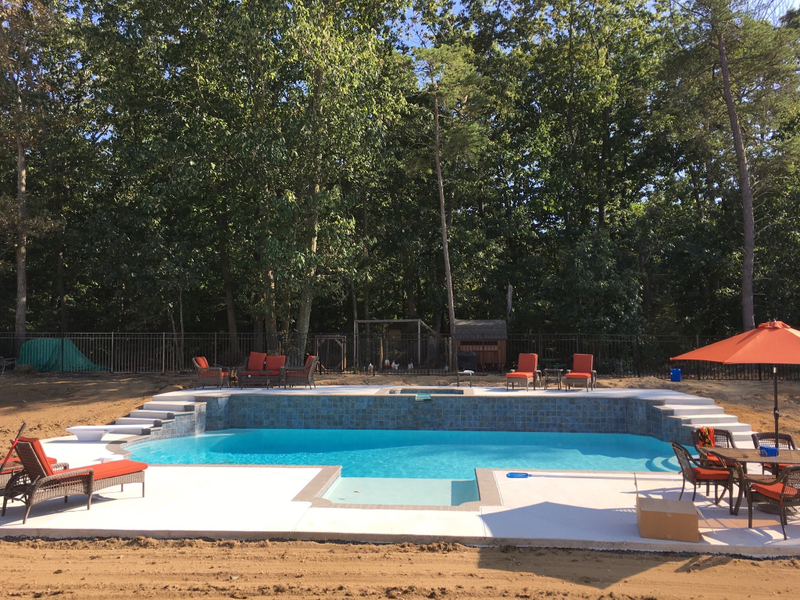 It's time to choose our pool finish and it's madness...... We love light and super vibrant blue colors and we like pebbles. No green, no dark an no toned down. We are considering white pebbles but we are wondering if light blue pebbles, such as pebble sheen aqua blue, would be best. We did so much research and looked at so many pics, but pics can be different from what you see in person. So.... if you feel your water color matches the picture attache here when looking at it in person (that is our ideal water color), would you please share a picture? Thank you!! I shared this on another post earlier. It's just white plaster and I love the water color. 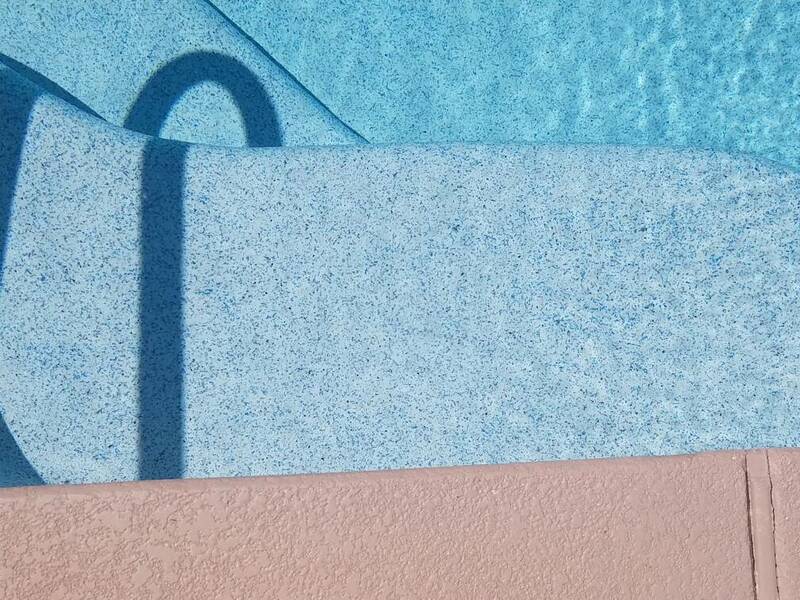 You have a beautiful pool and love your water color. I wonder if simply white pebbles would give the same effect then. Aqua cool stonescapes. White background with white pebbles and blue accent. We had white plaster and loved the color but we went with the Aqua Blue Pebble sheen when we re-plastered. 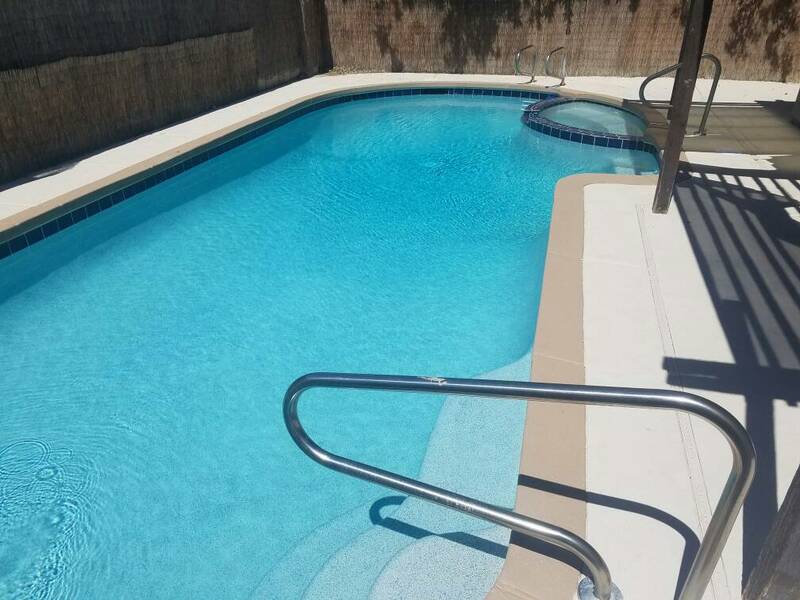 We were going to go with the white sheen but got talked out of it from the pool company. We love our finish. I am curious about why your PB does not recommend white sheen. Also, does your aqua blue look vibrant and blue like the pic I am trying to match? I just need to know what to expect in case we don't get to see a pool with that finish in person. I don't know how true it is, but I think white also makes the lights brighter at night. I use two in-pool lights at night and they are sufficiently bright. I don't know if that would be true with a colored plaster.